What is spinal stenosis? A clue to answering this question is found in the meaning of each word. Spinal refers to the spine. Stenosis is a medical term used to describe a condition where a normal-size opening has become narrow. Spinal stenosis may affect the cervical (neck), thoracic (chest), or lumbar (lower back) spines. The most commonly area affected is the lumbar spine followed by the cervical spine. What Does Spinal Stenosis Look Like? In the spine, the passageways are the spinal canal and the neuroforamen. The spinal canal is a hollow vertical hole that contains the spinal cord. The neuroforamen are the passageways that are naturally created between the vertebrae through which spinal nerve roots exit the spinal canal. The ligamentum flavum is a dynamic structure, which means that it adapts its shape as you move your body. When you're sitting down and leaning forward, the ligamentum flavum is stretched out; that gives your spinal canal more room for the spinal nerves. Nerves are also an important part of your spinal anatomy—after all, they're what sends messages from your brain to the rest of your body. The spinal cord, the thick bundle of nerves that extends downward from the brain, passes through a ring in each vertebra. Those rings line up into a channel called the spinal canal. Normally, the spinal channel is wide enough for the spinal cord, and the foramen are wide enough for the nerve roots. But either or both can become narrowed—that'd be the spinal stenosis—and lead to pain, as explained above. Most often, spinal stenosis is the result of disease or injury to the spine. The leading cause of spinal stenosis is wear and tear on the spine due to aging. In fact, the most common direct cause of spinal stenosis is osteoarthritis, where the cartilage that cushions joints starts to degenerate due to age. Some patients are genetically more prone to stenosis. They may have more osteoarthritis in their family. Some people are born with spinal stenosis (congential spinal stenosis), but that is very uncommon. Read an article all about spinal stenosis causes. What are some non-surgical ways to treat spinal stenosis? There are many non-surgical treatment options for you as you deal with spinal stenosis. You can try acupuncture or massage, alternative treatment options that some patients have found helpful. You can use over-the-counter NSAIDs (non-steroidal anti-inflammatory drugs) that will help reduce the inflammation and pain. NSAIDs include aspirin, ibuprofen (Advil or Motrin), indomethacin, and naproxen. If you have a severe case of spinal stenosis, your doctor may use an epidural steroid injection into the area around your spinal cord and nerve roots. An injection puts anti-inflammatory medicine into the epidural space to decrease the inflammation of the nerve roots. 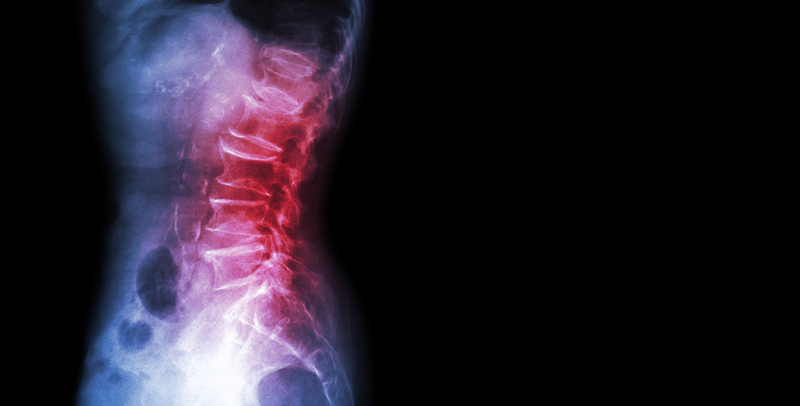 Read our article on all spinal stenosis non-surgical treatments. Will I need surgery to relieve my spinal stenosis? Most patients with spinal stenosis respond well to non-surgical treatments, so you may not have to have surgery. However, there are situations when you may want to go ahead with spine surgery. Decompression, where they remove tissue pressing against a nerve structure by making more room in the spinal canal (for the spinal cord) or in the foramen (for the nerve roots). Some common decompression surgeries are: foraminotomy, laminectomy, and laminotomy. Not everyone who has surgery for spinal stenosis will need stabilization, which is also known as spinal fusion. The need for stabilization depends mainly on how unstable your spine is. Read an article focused on spinal stenosis surgery procedures.